I’ll post new ones everyday so Follow Me or Subscribe to get updates. You can choose your model of phone (almost guaranteed they’ll have it listed unless it’s super old) and there are hundreds of wallpapers for each model. Mind you they aren’t all as gorgeous as the ones that MissAmyJoon and DreamySim1 make but they’ll do while those girls are working on more creations. 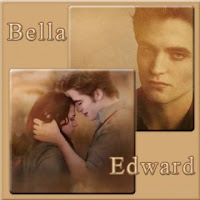 For the Blackberry Curve alone I found over 200 Twilight backgrounds. From your PC or Mac just go to www.zedge.net. If you are on your mobile you can directly download Zedge backgrounds to your phone by going to m.zedge.net/zcode and then entering the zCode that is listed for the item you like. Happy Robsten Days! Find these and other wallpapers in the sidebar Wallpaper Archive.